Does this sound like you? Thank you to of all the wonderful volunteers who have enriched my soul and believed in my abilities. Ahhh, being thankful, it’s what we volunteer managers do so well. But maybe we can also thank the volunteers who taught us lessons and built our characters. You know the ones. Their memories are seared into your psyche because you dropped your phone when you learned a trusted volunteer called a client “dumbo.” You slunk back to your office when the CEO told you a volunteer tried to sell something to a client’s son. You stayed silent in meetings after a volunteer wrote that wildly incorrect letter to the editor. But, think about all the clients saved from unscrupulous volunteers because you learned a hard lesson. Think about all the necessary precautions you take because you were put through the wringer. Think about the watchful eye you developed because you were caught unaware. In spite of intention, these volunteers give us the gift of experience. I remember many years ago, Jacob, who lied to my face. I believed him, not because he was so charming and convincing, but because I wanted to believe him. 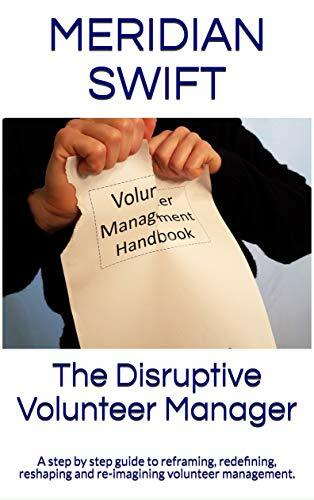 I believed in the romantic notion that all people could see the light of volunteering and could set aside their personal agendas for the greater good. I dreamed of that world in which unicorns and faeries flitted about, sprinkling the magic dust of goodness upon all. Jacob showed me that I had to be realistic if I truly wanted to do right by our clients. He showed me that healthy watchfulness did not diminish my job, but rather elevated it to a higher level of purposefulness. You’ve been through this. We struggle to showcase all the carefully measured thought and actions required to match volunteers to clients and programs. Unicorns and faeries are lovely, but we live in the real world. In the real world, placing volunteers with vulnerable clients takes discerning judgement, careful pairing and keen watchfulness. Luckily I was watchful enough to remove Jacob before any harm was done. So, I thank him and others for giving me a discerning nature, for strengthening my resolve to do right and for teaching me that compassion takes the courage to be a sentry. Jacob most likely never intended to teach me anything. But he never intended to embrace the mission either. Volunteer Manager Job Update: Should I Laugh or Cry? A couple of months ago, I posted some volunteer manager wanted ads and most of us pretty much agreed that they were lacking in inspiration. Well, thank you to Laura from Maine for sharing this volunteer coordinator ad with us. I have not changed one word, but only added (my comments). The Kitchen Coordinator/Volunteer Coordinator is a very hands-on position that requires strong leadership skills, responsibility, and enthusiasm. (I’m going to cry now over a piece of pumpkin pie). Happy Thanksgiving, I hope it is wonderful. 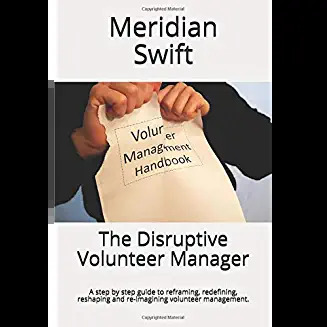 I have had some cracking learning experiences with volunteers over the years and the volunteer’s eye view of the world is quite illuminating sometimes, although the outcome can be more horror story than unicorns and faeries. Our motto should be live and learn. I love the “live and learn” motto, Eileen. Volunteer Leadership is one of those professions that you learn as you go because of the enormous amount of variables involved. But, as you learn each lesson, you grow exponentially, not only in your job, but in life, which is a pretty great perk.